Dry: 665lbs., Wet: 3,665 lbs. Regardless of whether you're enjoying family night under the stars or entertaining a group of friends during your next backyard party, the Seasons hot tub from PDC Spas is a perfectly soothing addition to virtually any setting. It offers ample seating for five and features an 82” square design. A full-length lounge seat stretches the length of the spa and is complemented by 4 adjacent contoured bucket seats. Unwind and escape as 43 powerful stainless steel hydrotherapy spa jets ease away the days stress and tension. 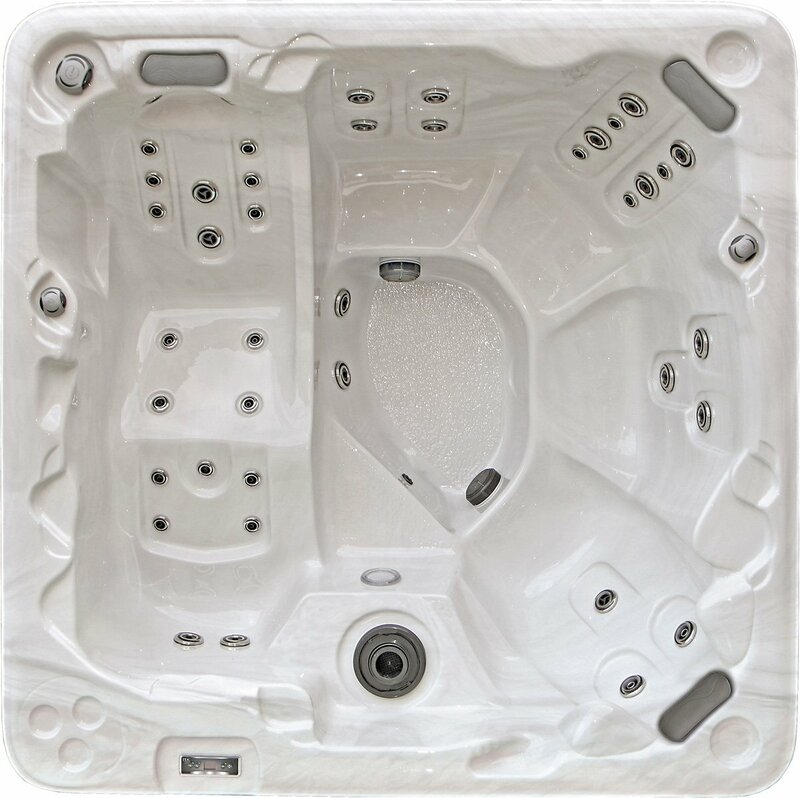 To ensure the most enjoyable experience the Seasons hot tub comes standard with premium spa features that include TemperLok™ Insulation, Reflections™ Stainless Jetting, and MotionGlow™ hot tub lighting.